Are you struggling with trying to make your toddler take a nap? Do you sometimes just give up and let him skip naptime? These genius tips for helping your toddler nap are just what you need! Last night my three-year old daughter was crying incessantly. She complained of a headache and she looked beyond exhausted. Immediately I knew what was wrong. I had not followed my tried and true plan of getting my toddlers to sleep and she missed her nap. By the time bedtime came, she was overly-tired and her body was not handling it well. I placed her in her place of comfort, my bed, and within five minutes she was sound asleep. Looking at her worn out, tiny face made me feel guilty. My adorable, button-nosed child was suffering sleep deprivation all because I was too lazy to follow the five strategies that have never failed me for my other children. It was an epic fail. Why don’t I just do what I know I should do? My mommy heart was smitten and the next day I made sure there was not a repeat experience of the previous night. Do you have a nap-time plan that works for your kiddos? 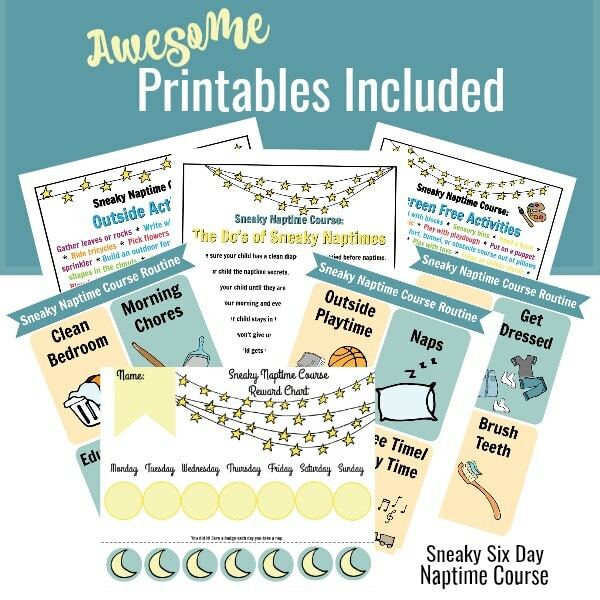 I want to tell you about the best plan available — it’s actually a super-cute course with fun printables that are ready to print and hang! 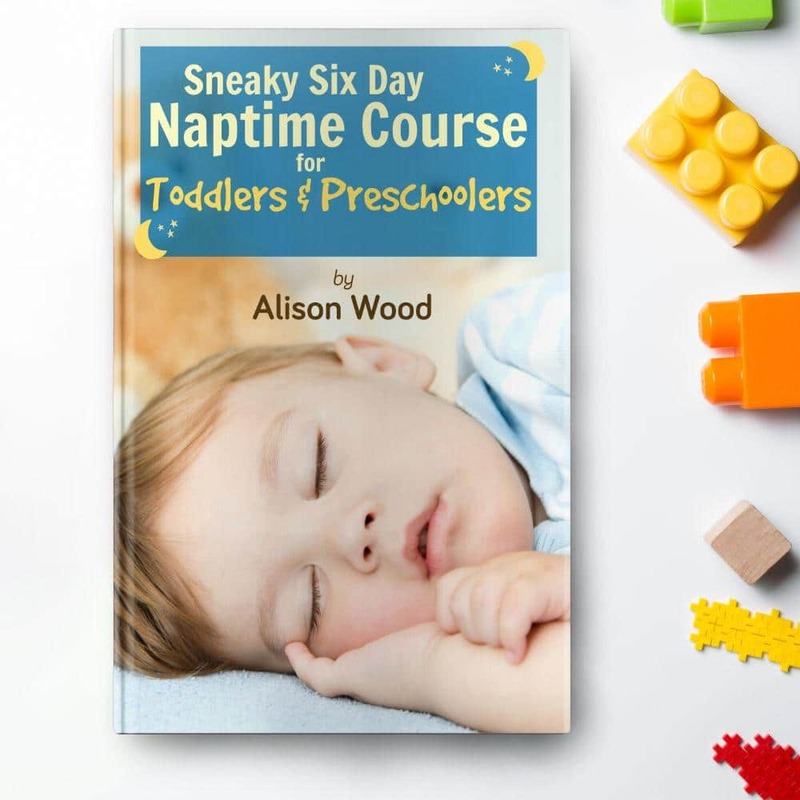 In this Six Day course I reveal my secret formula for training toddlers and preschoolers to predictably, routinely nap! And did you notice I said six days?! Yep! This course only takes SIX days to complete! Even a busy mom can make time for that! I’ve used this formula time and time again with a 100% success rate! And do you know what’s super exciting about this course? Parents told me that after following this six day plan their kids were heading to bed earlier and were resting better at night too! This nap time formula was even affecting sleeping habits at night! If you’re struggling with a daily routine for your toddler or preschooler, you’ll love that this course features sample routines you can take and apply as well! Psst! Here’s a secret: routines highly effect whether or not your toddler successfully naps. 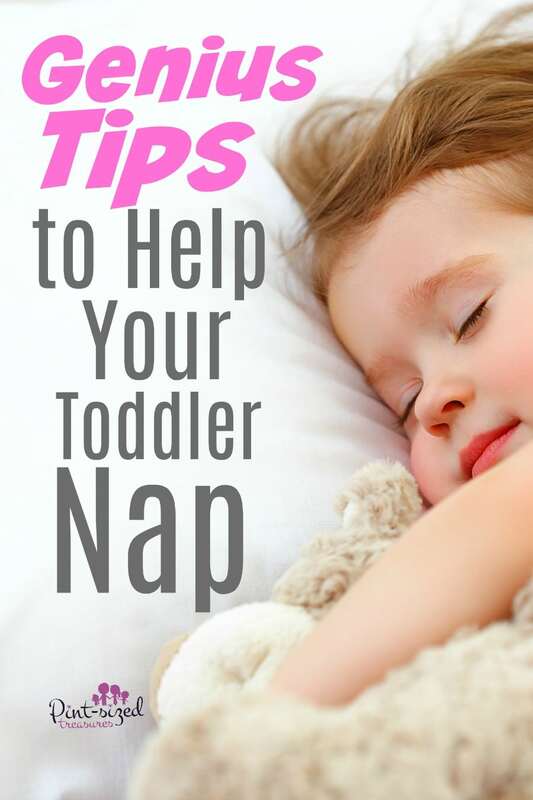 Moving on to GENIUS tips you can use now to help your toddler nap! Start a routine–and stick to it! Munckins thrive on routines. Routines help little ones feel more in control of their day because they know what is coming next. Even a toddler can understand that a nap comes after lunch, because it is routine. Just like your little one knows you are leaving the house when you grab your purse — it’s routine! Adjust the schedule to fit your family’s needs. 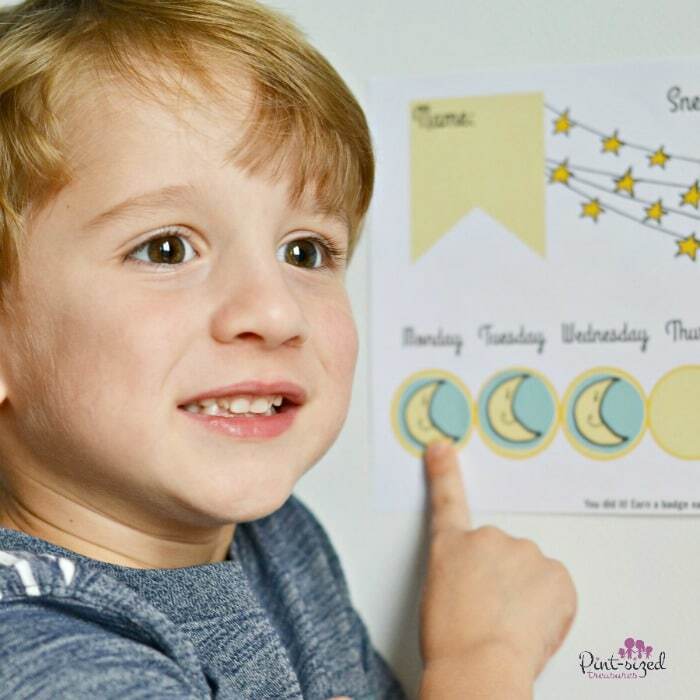 Sticking to a schedule will help your toddler’s body adjust to taking naps and going to bed at a certain time. 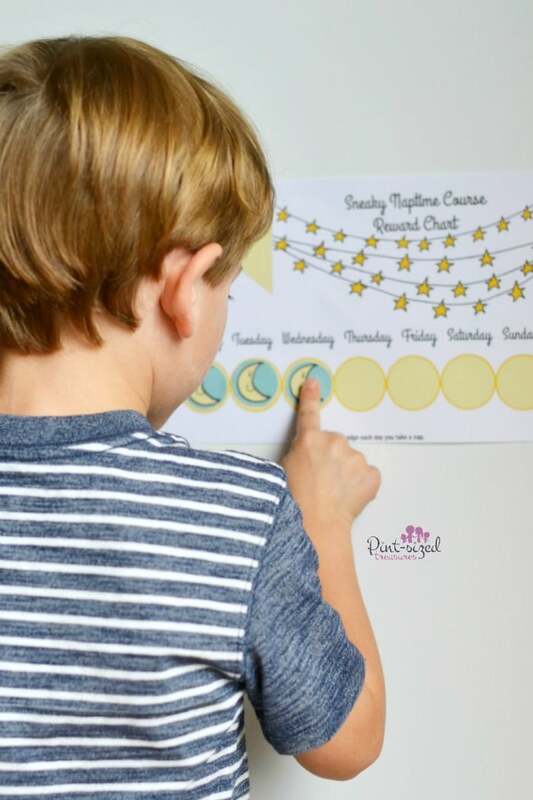 After about six days of implementing a consistent routine, you will observe your child’s body becoming accustomed to this schedule and naturally slowing down around nap and bedtime. Stay in the room. The only way you can assure your little one is going to fall asleep is to stay in the room with him. (I can see my hubby smirking now as he hears me teaching what he taught me. I was the mom who laid her little one down and walked out of the room—only to have to re-enter the room about 25 times before I gave up on the nap. So glad I listened to my hubby. He was right–as he often is! ) Quietly sit or stand near the bed and tell him to close his eyes and do not allow talking. Ensure that he obeys and sleep will come sooner than later. Play and exercise! Make sure your tykes get in loads of exercise and playtime before naps. This lets them run their energy off. Playing outside is best as a change of atmosphere naturally incites a child to run, jump and physically exert himself. I try to aim for one hour of active playtime. Avoid the word nap. My kids always seem to handle the fact that the dreaded nap is coming if we use the word “hop.” I thought of the term because I would say, “Hop in the bed!” So from then on, we would just smile and say, “It’s time to hop!” For some reason, naps have an evil association with kiddos–unlike adults who savor them. So try a new phrase that your kids will enjoy hearing as a reminder to them that it is time to lay down and rest. Create a tradition. Make naps seem special. Try giving your kids two hugs, three kisses and a quick lullaby to get them in the “nap mode”, or come up with your own creative nap time ritual. These traditions, coupled with routines, will help your child transition from activity time to rest time with less of a hassle. Have you found any sleep tricks that worked for you? If so, please share with our readers!